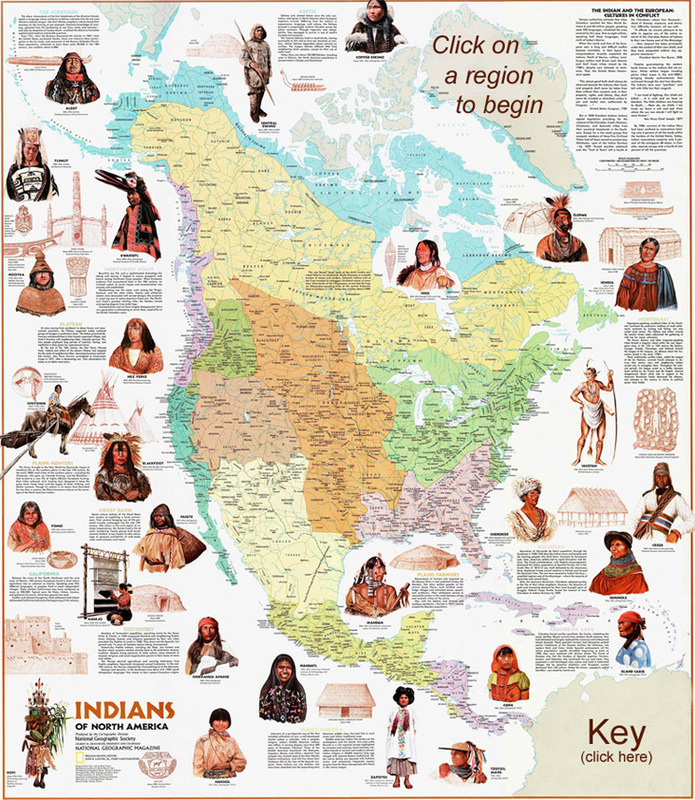 Previous First Nations Across North America maps. 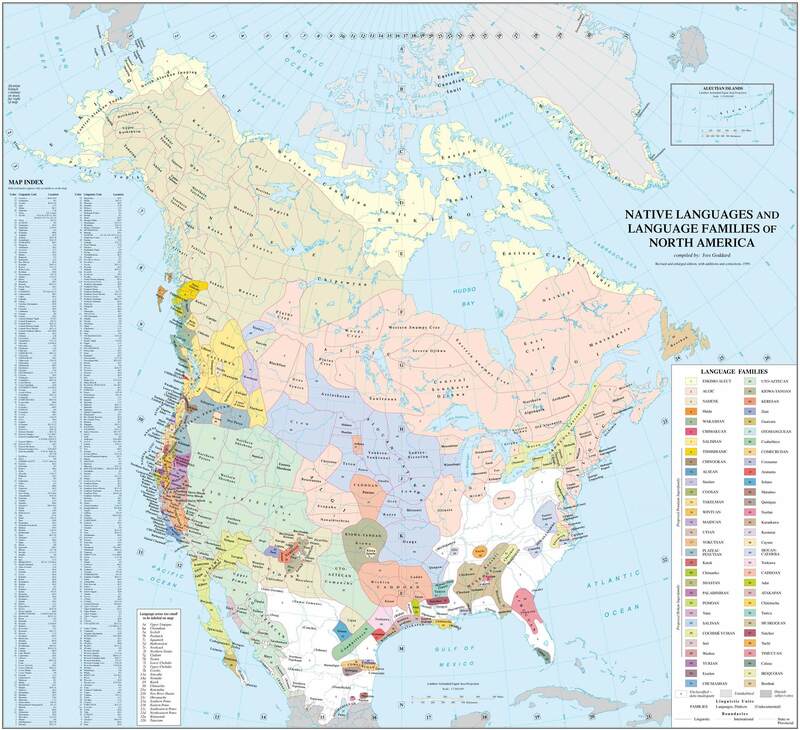 Perhaps you've enjoyed the large "First Nations Across North America" map on this website. However, there is something you should know. The concept used in First Nations Seeker's map of drawing out first nations with simple black lines on a white background is NOT the slightest bit original. Rather, First Nations Seeker's map is merely the latest in a long line of maps stretching back decades. (None of these maps have been used as source maps for First Nations Seeker's map.) Here is a survey of the previous maps that I am aware of. If you click them, the maps will expand into a much larger, readable format. This University of California map is of good quality. Mr. Swanton, an anthropologist and linguist, worked for forty years at the Bureau of American Ethnology of the Smithsonian Institution in Washington, DC. 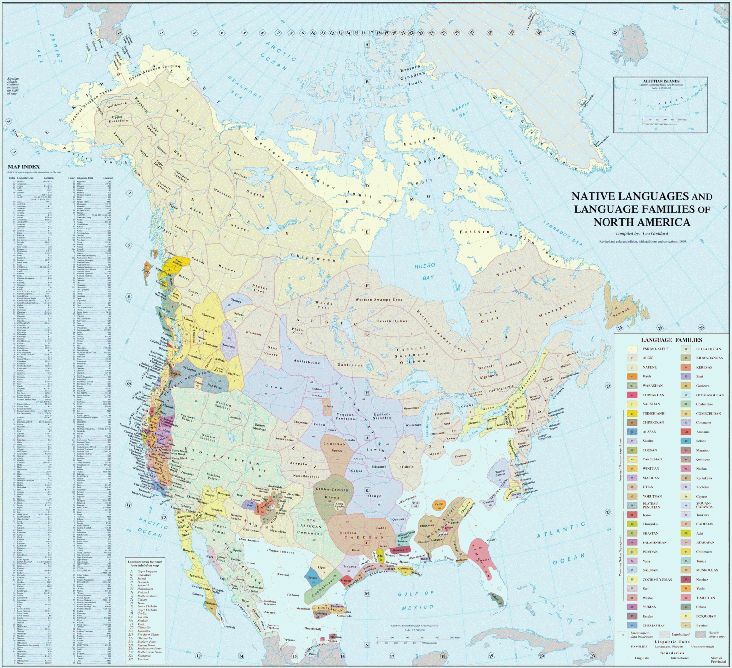 During this time, he published his authoritative book, "The Indian Tribes of North America" and this map was a four page insert with that book. I have found this map very interesting. My father bought this poster map at the Pioneera Exhibition in Saskatchewan. It was my first introduction to this kind of map and I lived with it for many years. Other than the map being produced in Canada, there is no way of telling who created it. It came in gray and blued toned versions. I credit this map as inspiring the whole First Nations Seeker project! Click the map below to view a more readable copy. 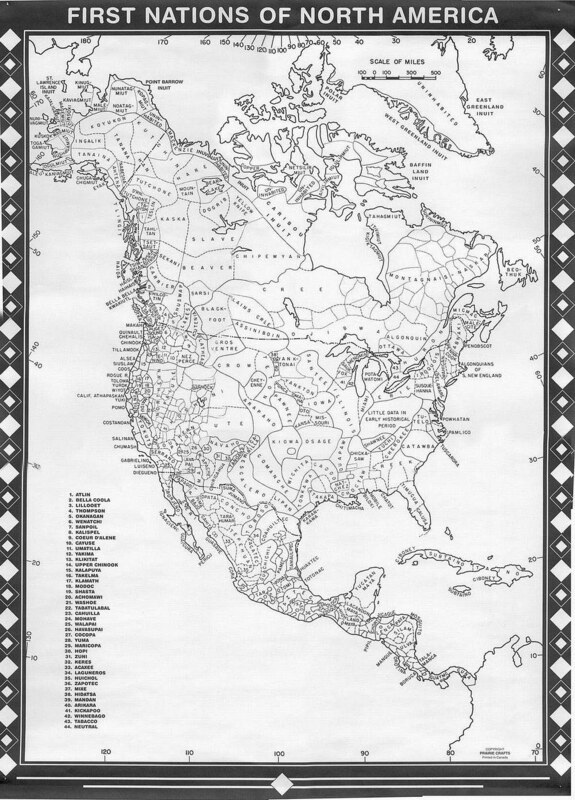 George Murdock's "Ethnographic map of North America"
This map was on one page of each volume of a series entitled "Ethnographic Biblography of North America". Click map to look at in more detail. This wall map came as an insert in National Geographic's magazine and thence it had wide circulation. Mr. Goddard is a distinguished linguist and curator in the Department of Anthropology at the Smithsonian Institute's National Museum of Natural History. Click the map below to view a clear readable copy. Features: 1) Created in the era of the internet, and thence full advantage has been taken of research far and wide. 2) It has an associated website in which you can visit the first nations on the map. 3) Source maps can be viewed (via the website) and thence you can see how it's put together. 4) Strong focus on linguistics and it's "First Contact" mandate. 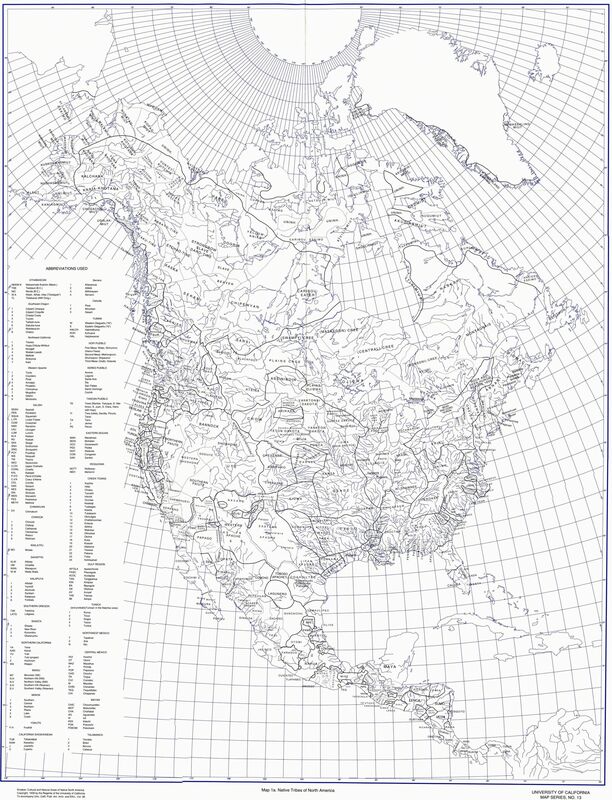 Ultimately, this poster map will be released into the public domain. But no there no use in cluttering up the internet with the map at various stages before completion. (It's an ongoing project.) Click the map below to clearly view it's south section.